PRE-WORKOUT: Mix 1 to 2 scoops with 12 - 16 oz of water. Shake well.Consume 30 minutes prior to physical activity to support maximum performance. INTRA-WORKOUT: Consume 1 scoop with 12 - 16 oz of water during training or performance to support intensity, muscular energy and mental focus. POST-WORKOUT: Mix 1 to 2 scoops with 12 - 16 oz of water. Shake well. 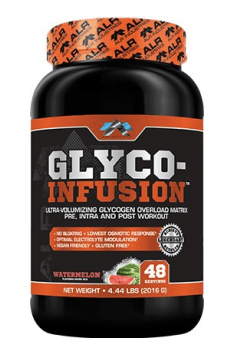 Ingest immediately post training or performance for glycogen replenishment and support of supracompensation. Drink plenty of water throughout the day. I recommend adjusting the portion to body weight. If you use the product before and during workout, 1-2 g of carbohydrates from the supplement for every kilogramme of weight is a reasonable dose. In the case of post-workout glycogen replenishment, the dosage of 0.7-1 g is enough, increased to 1.5 g if the session is particularly intensive. In order to maximise the post-workout anabolic effect of the supplement, you’d best provide proteins containing exogenous amino acids as well.